On November 1st, 2000, 67 miles of the Lower Delaware River along the border of eastern Pennsylvania and western New Jersey, and three Pennsylvania tributaries received Federal Wild and Scenic Designation. 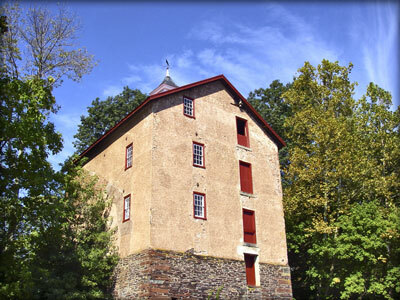 Rich in colonial and revolutionary American history and natural and recreational resources, The lower Delaware River region contains immense resource diversity, combining an area of high population density with a wealth of natural, cultural, and historical resources and recreational opportunities. The river valley houses cliffs rising 400 feet above the rivers that provide for magnificent scenery and habitat unique to the region. The south-facing, desert-like slopes are home to the prickly pear cactus, while the north-facing slopes display flora and fauna usually only found in arctic-apline climates. 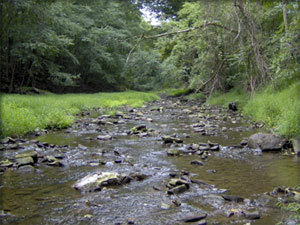 The river itself provides habitat for American shad, striped bass, and river herring and is an important component of the Atlantic Flyway, one of four major waterfowl routes in North America. From a historic viewpoint, the river is one of the most significant corridors in the nation, containing buildings used during Washington's famous crossing, historic navigation channels, Native American and colonial archeological sites, and 19th century mills. 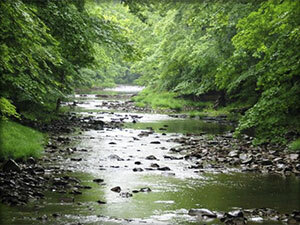 The oversight of the Wild and Scenic sections of the Delaware River is a cooperative effort between the National Park Service, the Delaware River Greenway Partnership, and the Lower Delaware Management Council. 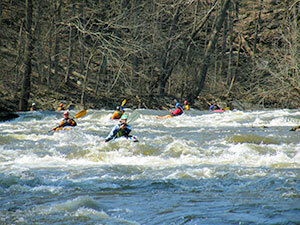 View the Lower Delaware Wild and Scenic Management Plan here. 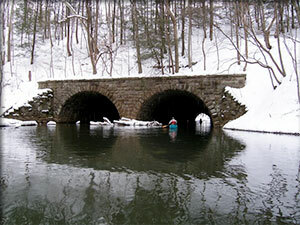 Additionally, the entire 197-mile non-tidal Delaware River from Hancock, N.Y. to Trenton, N.J., which includes the Lower Delaware Wild and Scenic sections is protected by the Delaware River Basin Commission "Special Protection Waters" program. 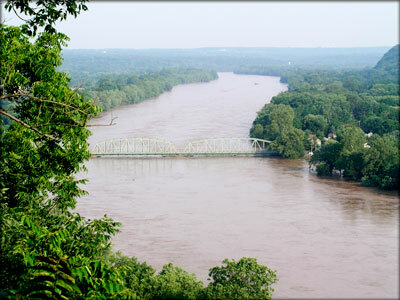 According to the Delaware River Basin Commission, the Delaware River has a "Special Protection Waters" anti-degradation policy on the longest stretch of any river in the United States of America. Learn more about DRBC Special Protection Waters program here. passing through Solebury Township to the Delaware River).